Our fridge seems to be a highlight for many of our customers, being predominantly vegan it also has many organic and gluten free foods. 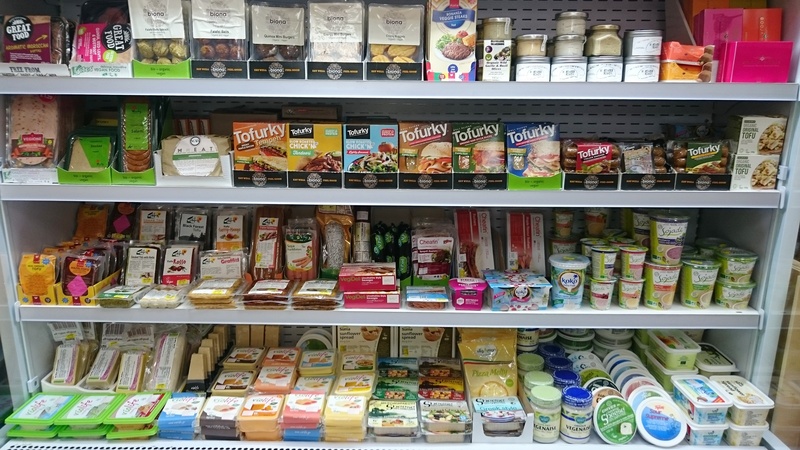 Here you will find a whole shelf dedicated to vegan cheese; we carry Vegusto, Violife, Bute Island, Toffuti, Vegimigo and Glasgow’s very own Nutcrafter Creamery. We know how much our customers love their cruelty free products to use instead of meat so we have a wide range by brands such as Tofurky, Vbites, Wheaty, Viana and Sgaia’s Mheat this includes tempeh, sausages, sandwich slices, pepperoni, steaks and more. If you’re not so keen on the close to meat equivalents, then check out our range of organic Biona products including mini burgers and falafels, also Great Food’s burgers, koftas and pakora. If you like your tofu, then we have Clearspot along with many of the Taifun flavoured ones and Viana. 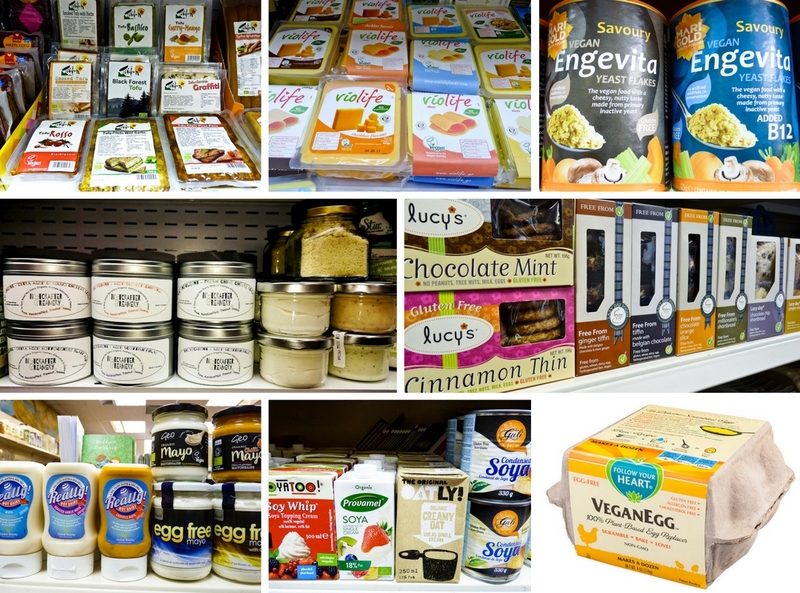 We also have a great selection of dairy free yoghurts, including Sojade and Koko, dairy free spreads from Suma, Vitaqell and Koko and let’s not forget about the fermented products; yes, we have kimchi, sauerkraut and lots of kombucha. Nutritional Yeast, Vital Wheat Gluten , Vegan Egg, and what has been described as the largest vegan chocolate section in Glasgow. 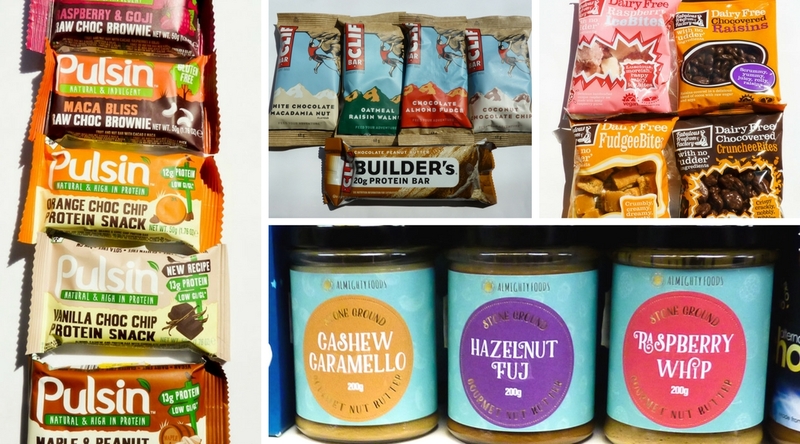 I think we were the first independent store in Scotland to stock the Vego Bar, we also have chocolate and sweet treats by iChoc, Vivani, Plamil, Booja Booja, The Fabulous Fudge Company, Anandas, and a bit more local to us, Considerit and Almighty Foods to name a few. Please check out our other sections as many of our products are vegan.